I went to dinner last night with my folks. They'll be out of town this weekend so we wanted to get together for an early Father's Day celebration. We were seated at the table in one of my Dad's favorite restaurants and I had just pulled out my Father's Day card to hand to my dad when the waiter approached the table. He spotted the card and immediately a wide grin erupted across his face. "Are you fathers?" he gushed. "We sure are," I responded, explaining I was a dad to three and my own father was also a dad to three. "So am I!" he exclaimed. He went on to explain that he'd just barely "squeaked in under the wire" as that his firstborn had just arrived a few weeks ago. His face alit with joy, he relayed to us the adventure of those first few weeks of fatherhood. His enthusiasm was contagious--he was literally thrilled to be a dad, excited at the prospect of guiding a young person through life. Unintentionally, he produced a special moment for both my Dad and I. His unabashed exhilaration vividly reminded us of the privilege we'd been afforded by the Lord when He trusted us to be fathers. It is the privilege given by a heavenly Father to earthly fathers, to bear His title for a few earthly years in the lives of our children who are, in fact, His children. That waiter's enthusiasm echoed the enthusiasm of the Psalmist when he wrote in Psalm 127:3-5, "Behold, children are a heritage from the Lord, the fruit of the womb is a reward. Like arrows in the hand of a warrior, so are the children of one's youth. Happy is the man who has his quiver full of them; they shall not be ashamed..." The waiter's joy at his own newborn bundle of heavenly reward reminded us of the value of the reward that God had bestowed upon us as well. In a sense, as that you've elected Northwest Christian to assist you in your God-given responsibility to rear your children, you have presented a similar privilege to us as educators. This next school year, you're offering us the best eight hours of your child's day, five days a week, 180 days a year. You're trusting us to come alongside you and "train up your children in the way of the Lord" (Proverbs 22:6). It's a privilege and a responsibility that I promise we will not take lightly. While we will all find time to get away this summer, we are all also hard at work, preparing for the best school year to date in your child's life. We're hard at work adjusting curriculum maps, updating lesson plans, improving facilities, approving new text books, and training on the latest instructional advantages to which we can avail ourselves. In short, we're making every effort this summer to prepare for an amazing year of growth for your students. In the next week or so, you will be privy to all that we're doing and planning as you will be receiving our annual summer mailing. It will be overflowing with all the information you will need as you plan for the exciting school year that we're preparing for your kids. With a joy that I dare say rivals the joy of a waiter I met last night while at dinner with my dad, I offer to you the sincerest appreciation for trusting us and partnering with us in in the coming year. 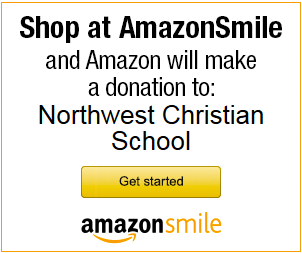 Five years ago, Northwest Christian employed a school security consultancy to visit the campus, review emergency protocols and policies, and assess the campus for vulnerabilities. The process generated a multi-year plan that the school has been working through over the past several years. Funding for the recommended changes and projects has come from the generosity of NCS families who support the annual Jog-a-thon fundraiser. Each summer, as funding has allowed, different steps in the plan have been implemented. This summer finds the school reaching the proverbial summit of the plan as the last phase is implemented. In addition to the cameras, the school is installing the final leg of perimeter fencing that will stretch from the school office across the length of the central access pathway to the secondary side of campus. The single door to the school's main office is being replaced with a double door. The fencing installation and office renovation means that there will a single access point on and off of campus throughout the school day. This access will be constantly supervised. Finally, this summer the school has been working to identify a full-time employee who will be responsible for campus security. This individual will be responsible for patrolling the campus perimeter, supervising high traffic areas, assisting with drop-off and pick-up, and reviewing video surveillance. "We are appreciative of our families for reason of the generosity that they have demonstrated in our annual Jog-a-thon," said superintendent Geoff Brown of the project. "Fencing and installation of video security is not an inexpensive proposition. But, it has all been accomplished with just a little bit of patience and generous support. Adding these features to our campus has not impacted tuition in the least." Midway through the 2014/2015 school year, Hope 4 Kids International, a perennial ministry partner to Northwest Christian School, asked if they could bring a special guest to the school to speak in the high school's Christian leadership class as well as middle school and high school chapel. "At first," explained superintendent Geoff Brown, "we were tempted to say 'no'. The chapels were booked and we'd have to juggle some things around. But, today, I'm so thankful that we did! As it turns out, it was probably one of the students' favorite chapels of the year." The chapel speaker was Macho Geoffrey, the Resident District Commissioner for the Budaka district in Uganda, who works in the office of the President of Uganda. Working with Hope 4 Kids International, Macho Geoffrey had started a Christian school for Ugandan orphans, Shine Academy. The chapel inspired a dozen Crusaders to make the trip to Shine and Uganda this summer through Hope 4 Kids. The team will be led by third grade teacher Cheree Burleson, her husband Troy (who has multiple Hope 4 Kids trips to Africa under his belt), and Amber Perona. The team leaves in just over four weeks and will return on August 3rd, right before the start of school. While in Uganda, the group will be working as part of several Hope 4 Kids projects but they will also have time to work with the students at Shine. Visiting a Christian school in Africa is a prospect they relish and they have been hard at work all spring and summer to see it happen. The group has put together five off-campus rummage sales (picture above), worked part-time jobs, done odd jobs, and a ton of baby-sitting. The trip was also sponsored, in part, by the Northwest Christian's Jog-a-thon campaign. At this point, the financial goal to make the trip a reality is almost in reach. If readers have it on their hearts to help the team reach their goal, there remain two options. Hope 4 Kids International (P.O. Box 74010, Phoenix, Az 85087) with NCS in the memo line. Finally, on Monday, June 22nd, the group is hosting a delicious fundraising opportunity at Chipotle. That information can be found below. Northwest Christian's training in BI has run throughout the history of the school and has been part of every professional development opportunity presented to teachers for years. This fall the school school is excited to welcome two nationally recognized experts in Biblical integration: Dr. Glen Shultz and Dr. Bryan Smith. The two will be tag-teaming training sessions that will pull in every NCS teacher. 20/20 Vision. He has conducted seminars throughout the United States and several foreign countries. He also serves as an adjunct professor at Southwestern Baptist Theological Seminary. Dr. Schultz is the founder and director of Kingdom Education Ministries. Dr. Bryan Smith has worked in Christian education for over 20 years, from time spent as a classroom teacher as well as a textbook author. Currently, he serves at BJU Press as the Biblical Integration Coordinator. In this position he assists authors and teachers in the work of integrating faith and learning into the classroom. Bryan holds a PhD in Old Testament Interpretation. The training will take place on August 4th. More information will follow as that later this summer Crusader parents will be invited to attend one of the afternoon sessions. For summer 2015, Northwest Christian is encouraging students and families (those pre-K through 5th grade) to have a "Red Letter Summer". Using the reading plan available at the link below, students are encouraged to read one chapter a day from the life of Christ as presented within the four gospels. Imagine the effect of a school community that spends a season together focused on the words and actions of the Savior! What a year ahead we will have! To help encourage participation, any student who averages four a week between the end of the school year and Monday, July 20th will be invited to a special "Red Letter Celebration". Hosted by our friends at Pump it Up!, the first 50 participating students to RSVP and present their completed reading paln will receive free admission to the celebration. The Red Letter event will take place at the Pump it Up! location at 14131 Rio Vista Blvd. in Peoria on Monday, July 27th, beginning at 10am. LET'S HAVE A RED LETTER SUMMER!